The notification for MBBS admissions in the All India Institutes of Medical Sciences (AIIMS) was released on 1 February, 2018, by AIIMS New Delhi, the conducting authority of the entrance exam. This year's notification comes with some important changes in terms of the exam schedule as well as in the number of available seats and campuses. MBBS aspirants who wish to take admission at AIIMS are required to register themselves online for the entrance test, for which the application deadline is 5 March, 2018. From this year onwards, two new AIIMS campuses offering 50 seats each will also be open for admissions. The other significant change is in terms of the exam schedule. Until 2017, the exam was conducted in two shifts on a single day. From this year onwards, however, AIIMS MBBS 2018 will be conducted in a total of four shifts spread across two days, ie 26 and 27 May. This increase in the number of exam slots is indicative of an expected increase in the number of candidates and the higher competition likely to characterise this year's exam. Established by an Act of Parliament in 1956, AIIMS is an autonomous institution of national importance, highly regarded for the quality of education it offers. 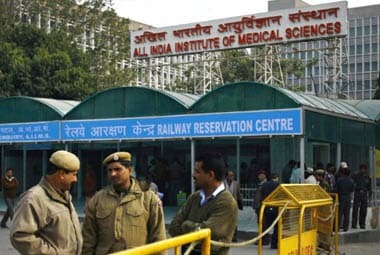 AIIMS New Delhi is among the only two institutions – the other being JIPMER Puducherry – which has the authority to conduct its own MBBS entrance exam. Besides these two institutions, the admissions to MBBS courses in all other medical colleges in India are done through NEET. What's new in AIIMS MBBS 2018? Two new AIIMS campuses: Two new AIIMS campuses, namely AIIMS Guntur (Andhra Pradesh) and AIIMS Nagpur (Maharashtra), have been added to the existing list of institutions. The two new AIIMS campuses will operate from temporary campuses until their final construction is completed. Siddharta Medical College in Vijayawada, Andhra Pradesh and Government Medical College in Nagpur, Maharashtra, will act as the host campuses for AIIMS Guntur and AIIMS Nagpur respectively.With the addition of the two new AIIMS, the total number of AIIMS institutions in the country now rises to nine. The other seven are AIIMS New Delhi, AIIMS Bhopal, AIIMS Bhubaneshwar, AIIMS Jodhpur, AIIMS Patna, AIIMS Raipur and AIIMS Rishikesh. Increase in the number of seats: The establishment of the two new AIIMS has increased the total number of MBBS seats offered through the exam. From this year onwards, AIIMS will offer admissions to a total of 807 MBBS seats with the two new AIIMS admitting a batch of 50 MBBS students each. AIIMS New Delhi will offer 107 MBBS seats (out of which seven will be for foreign nationals) while the campuses in Bhopal, Bhubaneshwar, Jodhpur, Patna and Raipur will offer 100 MBBS seats each. Exam to be held on two days: For the first time ever, AIIMS MBBS entrance exam will be held across two days with two shifts conducted on each day, ie a morning shift (from 9 am to 12:30 pm) and an evening shift (from 3 pm to 6:30 pm). Until last year, the exam was conducted in two shifts held on a single day. Online Counselling: For the first time, AIIMS New Delhi will conduct the counselling online. Till 2017, the counselling was conducted in an offline mode wherein qualified candidates were required to be physically present at the AIIMS New Delhi campus. Age: The candidates must have completed 17 years of age, on or before 31 December, 2018. Qualifying Examination: Candidates must have passed Class 12 with Physics, Chemistry, Biology/Biotechnology and English scoring at least 60 percent (50 percent for SC/ST/OPH) aggregate marks. How to apply for AIIMS MBBS 2018? Go to the official exam website of AIIMS, click on 'Academic Course' and then select ‘MBBS’ to fill the application form. The first step is to register. Start the registration process by clicking on ‘Click Here’ button given under the ‘New Registration’ box. Read the instructions and provide basic details like category, ID proof, mobile number, Email ID and more. Upon registration, the candidate ID and password will be sent to the registered mobile number and Email ID of the candidate. Log in using your candidate ID and password details and change your password as and when prompted by the system. Candidates will then be required to pay the requisite application fee. Before making the payment, candidates can check the cities available for the conduct of exam. The payment can be made online through credit/debit/net banking methods. General and OBC category candidates will have to pay INR 1,500 and those belonging to SC/ST will have to pay INR 1,200. OPH category candidates are exempted from paying the application fee. After the payment is made, candidates need to take a printout of the payment receipt for future reference. Next, choose the choice of exam city from the 155 cities available. For each state, city options will be displayed indicating total available/occupied seats. Proceed to fill the application form by giving academic and residential details. Candidates will be required to upload the digital copies of their scanned photograph (50 Kb to 100 Kb), signature (20 Kb to 100 Kb) and left-thumb impression (20 Kb to 100 Kb). Finally, print the duly filled application form and click on ‘Final Submit’ to submit the application. On final submission, candidates will receive an acknowledgement email on their registered Email ID. The admit card of AIIMS MBBS 2018 will be posted on the official website by 10 May. No candidate will be allowed to enter the exam hall without a valid admit card. Along with the admit card, candidates should take with them an original ID proof whose details match with those entered at the time of filing the application form. Candidates will be required to score a certain stipulated percentage to qualify the exam. Candidates belonging to General Category will be required to score at least 50 percent marks, while those belonging to OBC category will be required to get a minimum of 45 percent marks. SC/ST category candidates will need to score at least 40 percent marks to be considered eligible for further AIIMS MBBS counselling and admission rounds. Given that the questions will vary for each shift, a normalisation procedure will be used to determine the qualification of candidates. As per this, the lowest of the four percentiles corresponding to the qualification percentage will be considered as the final qualification cut off. For example, if candidates in the first shift qualify at the 85th percentile and those in the other shifts qualify in the 82nd, 83rd and 84th percentiles respectively, then the 82nd percentile will become the overall qualifying percentile for AIIMS MBBS. There is a difference in qualifying the exam and being placed in the merit list. Upto four times the number of candidates will be called for counselling, as per the number of seats on offer in their respective categories. The percentile score of the last candidate invited for counselling as per this will therefore be the merit cutoff percentile of AIIMS MBBS. How to Prepare for AIIMS MBBS? With about three months remaining for the exam, candidates should first get familiar with the AIIMS MBBS exam pattern. The exam will consist of a total of 200 questions, with 60 questions asked from Physics, Chemistry and Biology each, and 10 questions each from General Knowledge and Aptitude & Logical Thinking. Although no official syllabus for the exam has been provided, candidates are recommended to cover Class 12 syllabus of NCERT thoroughly. 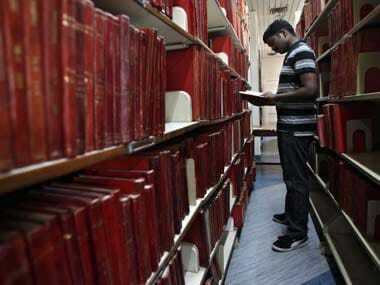 Besides that, to clear their theoretical concepts, they can use other reference material if required. It is of immense importance that candidates practice MCQs based on the exam pattern. Regular practice of mock tests and previous year papers will help candidates get into examination mode, help them assess their preparation levels and pinpoint their weak and strong areas. Every wrong answer in AIIMS MBBS 2018 will attract a negative marking of one-third, while one mark will be awarded for correct responses. The result of AIIMS MBBS 2018 will be declared on 18 June online. Along with the scorecard, the result will be declared in the form of roll number wise and rank wise lists of qualified candidates shortlisted for the counselling process. After the declaration of the result, AIIMS New Delhi will conduct counselling online. During the counselling, candidates will be allotted MBBS seats in the different AIIMS institutions on the basis of their rank and category. 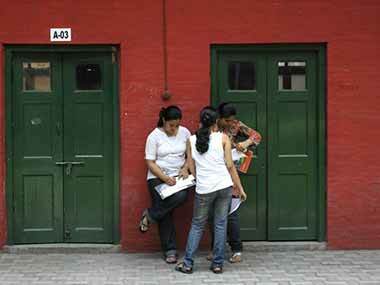 Depending upon the vacancies, three to four rounds of counselling might be conducted. After the counselling is over, AIIMS New Delhi will release the final allotment list of candidates admitted to the 807 MBBS seats in the nine AIIMS institutions.